Think of a Powdered Sugar Icing as the little black dress of the baking world. 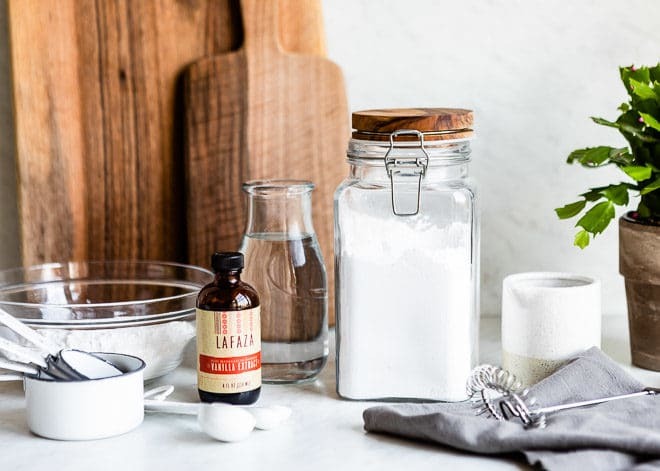 This sweet, versatile icing makes cakes, cookies and quick breads look polished and extra special, and they taste better too! 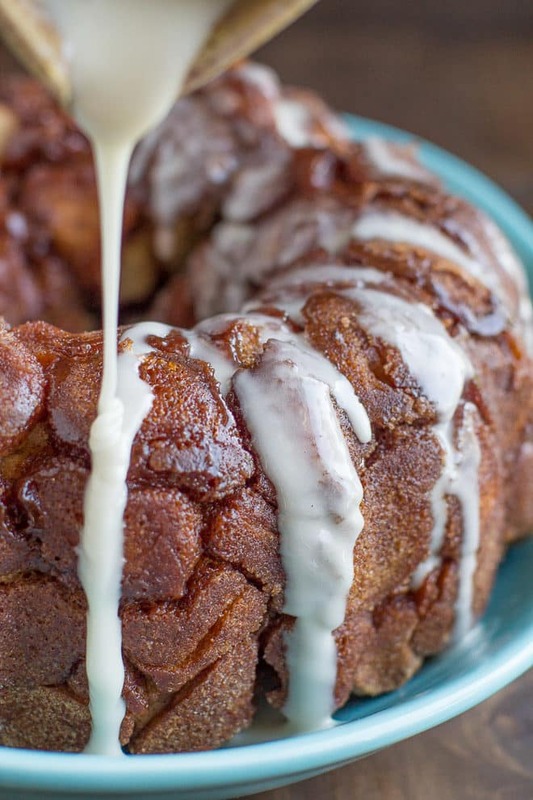 What do glazed donuts, cinnamon buns, and Starbucks’ lemon poppyseed loaf all have in common? They’re all finished off with a picture-perfect powdered sugar icing. To make any powdered sugar icing, I employ a simple sugar to liquid ratio. 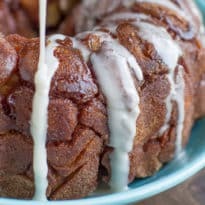 What liquid you choose is up to you; the icing can be flavored to compliment your recipe using citrus juice, coffee, or liqueur. Also known as confectioner’s sugar glaze or flat icing, this basic powdered sugar icing forms a glossy, thin skin that hardens as it dries. 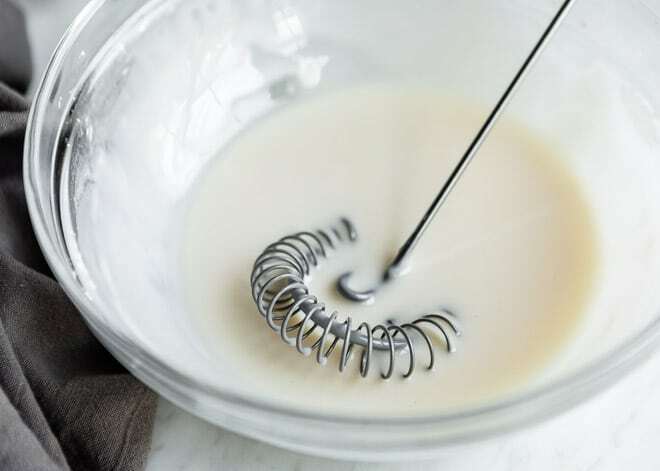 As long as you work quickly and pour with confidence, you’ll get a gorgeous icing that hugs every curve and edge of your dessert. 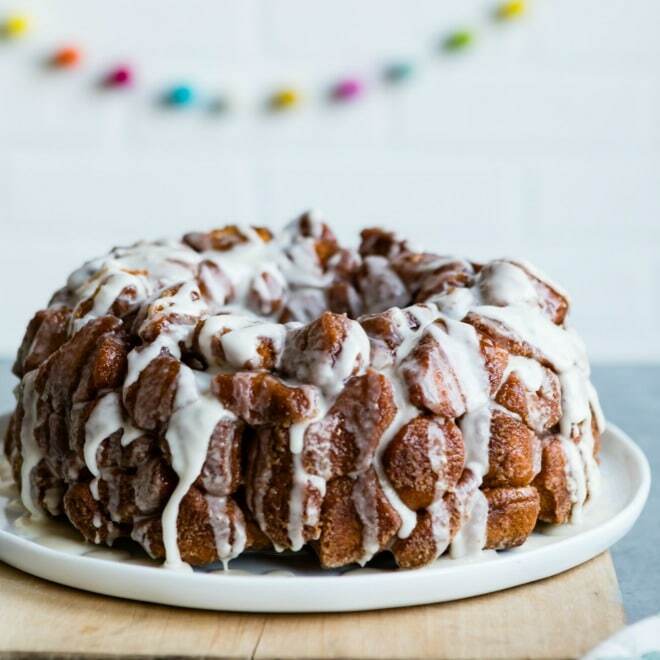 And speaking of curves, if you’ve got an heirloom bundt pan that’s begging to be used, dig it out of storage and bake a cake. 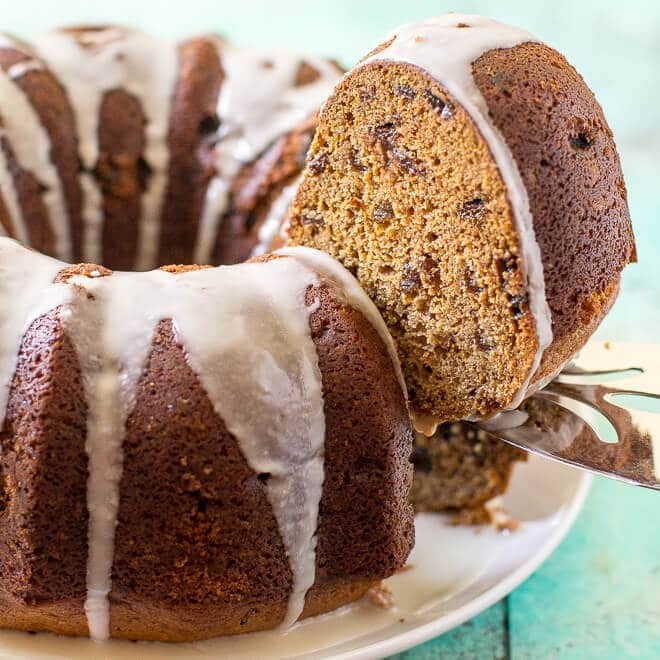 There’s nothing prettier than a custom icing on a cake baked in an antique bundt pan. Don’t forget to take a picture and post it! I want to see it. Making Powdered Sugar Icing for the biggest bake sale ever? 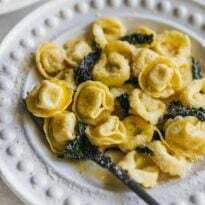 Click and slide the number next to “servings” on the recipe card below to adjust the ingredients to match how many you’re feeding—the recipe does the math for you, it’s that easy. What are the ingredients in a Powdered Sugar Icing? Confectioner’s sugar: because this isn’t a cooked icing, using powdered sugar is important because it dissolves without heat. 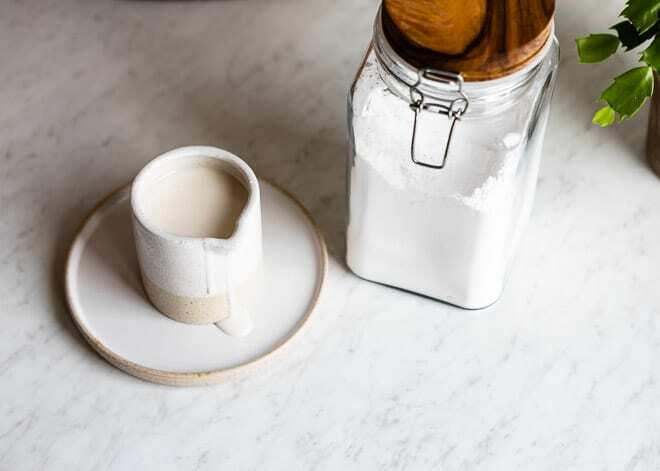 You can make your own confectioner’s sugar at home out of regular white sugar; I’ll show you how. Liquid: this could be water, milk, vanilla, coffee, fruit juice, or liqueur. Pour granulated sugar into a blender or food processor. Blend the sugar until it is a fine, fluffy powdered sugar. Use powdered sugar immediately or save it in the pantry for later. This is just the most basic ratio to make any flavor of sugar icing your heart desires. 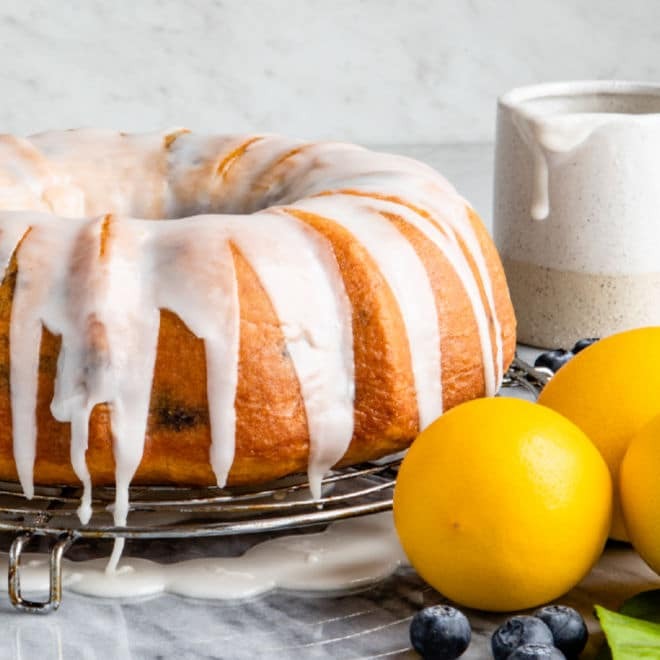 For my Lemon Blueberry Cake recipe, for example, I use water and vanilla to make a lightly vanilla-scented icing. If you love, love lemons, though, you could add just lemon juice for a tart lemon icing, instead. Zing! 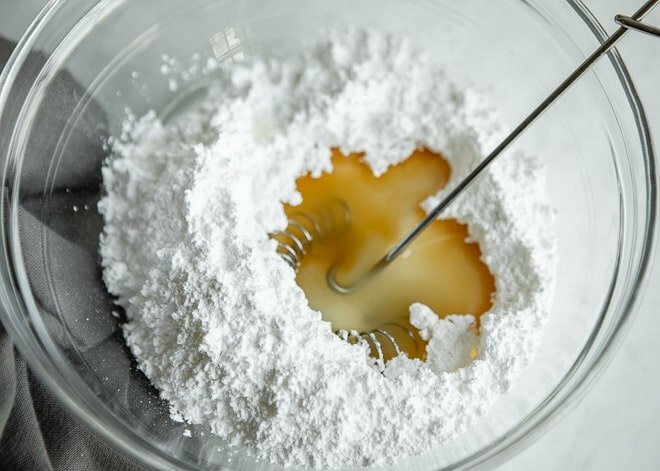 Powdered sugar breaks down quite a bit, so this amount makes 1/2 – 3/4 cup icing, which should be enough for a standard cake. In a medium bowl, mix together the sugar and the liquid until smooth. Add more sugar or liquid, as necessary, to achieve desired consistency. What are some Powdered Sugar Icing flavors to try? You better believe that this icing is versatile! Here are some ideas for different liquids to add to the powdered sugar, to flavor your sugar icing. Coffee powdered sugar icing: Add espresso or strong, freshly brewed coffee, maybe on Molasses Cookies. Apple powdered sugar icing: Apple cider, with a dash of ground cinnamon and nutmeg– might be nice on my Grandma’s Easy Spice Cake. Vanilla powdered sugar icing: Milk (or water) and vanilla. Orange powdered sugar icing: Orange juice, with 1 tablespoon orange zest, on a basic pound cake. Lemon powdered sugar icing: Lemon juice, with 1 tablespoon lemon zest. Lime powdered sugar icing: Lime juice, with 1 tablespoon lime zest, poured over my 7UP Pound Cake. Almond powdered sugar icing: Milk and 1/4 teaspoon almond extract. 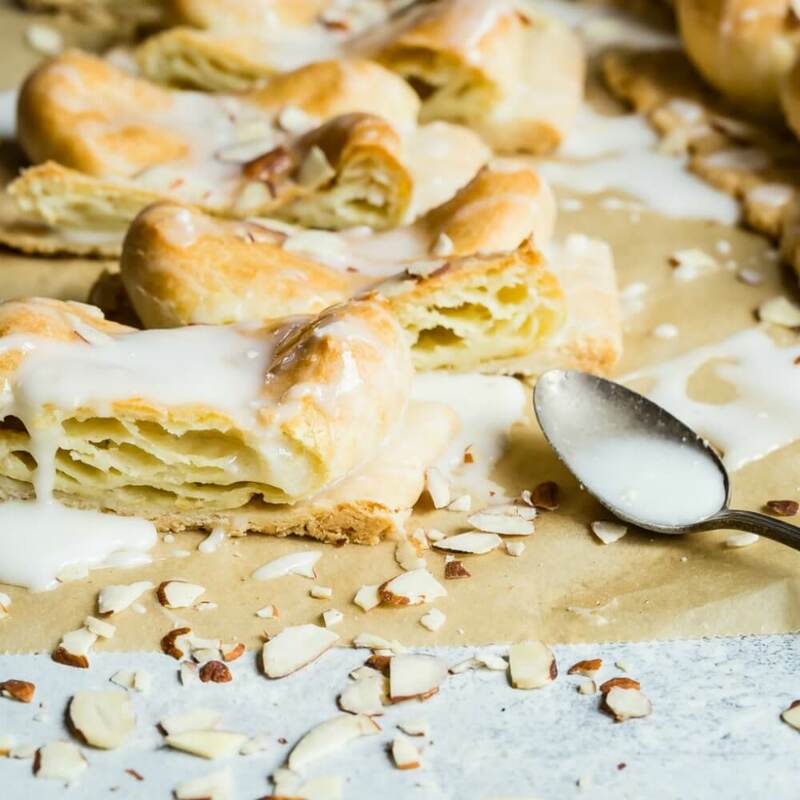 Try it on Danish Kringle! Pineapple powdered sugar icing: Fresh pineapple juice. Cherry powdered sugar icing: Kirsch liqueur might take my Cherry Almond Biscotti from delicious to dreamy. Bourbon powdered sugar icing: Any old bourbon will do. Does powdered sugar icing need to be refrigerated? No, even if you use milk in your icing. The small amount of milk is stabilized by the large amount of sugar and is considered safe at room temperature for two to three days. Always refrigerate any cake with a frosting that contains eggs or egg whites, or one that has whipped-cream frosting or any type of filling. Mix confectioner's sugar, water and vanilla in medium heat bowl until smooth. 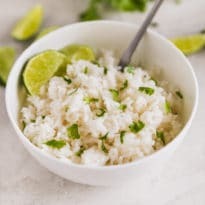 If necessary, stir in 1 to 3 additional teaspoons water. Drizzle over cooled baked goods or dessert. Let stand until glaze is set.